Earlier in the week the group stages of this year’s Africa Cup of Nations concluded and, before we go any further and the sadly unavoidable ‘why cover this pointless tournament?/the quality is terrible’ mentality begins to set in, let me just go on record as saying that some of the performances and matches I have seen in the past two weeks have eclipsed anything I have seen in our beloved Premier League for a very long time. It feels like a reconnection with football on a base level. Pure enjoyment. Watching the wild, passionate, ridiculous, filthy, mercurial, at-times unhinged football on show in Africa at the moment makes you realise just how sterilised the game has become at the very top of the pyramid. 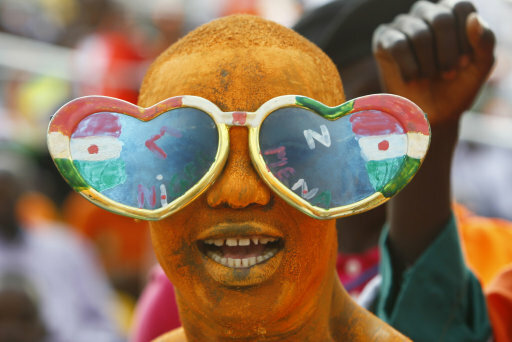 In fact, the 2012 tournament has probably been the best Africa Cup of Nations I have ever seen. Knocks the last World Cup into a cocked hat, so it does! This year’s competition is proving to be a great success, despite some questions surrounding co-hosts Equatorial Guinea and Gabon. Many were concerned beforehand that a lack of big name teams (Cameroon, Nigeria, etc) would scupper the tournament – yet, many of the smaller nations and lesser known players have stepped up and provided the watching world with some fantastic displays. So, without further ado, let’s have a quick retrospective look at how the first phase unfolded. On paper, Group A looked like a foregone conclusion from the outset. With more established footballing nations like Senegal and Libya fancied to ride roughshod over the considerably smaller Zambia and co-hosts Equatorial Guinea. Lo and behold, the complete opposite happened. Even with a formidable strike force consisting of Lille’s Moussa Sow and Newcastle’s Double Dembas, Senegal failed miserably – scoring just two goals and loosing every single game. Libya fared slightly better, though both were completely undone by the underdogs. Equatorial Guinea can attribute home advantage to their success, but a great team spirit and fantastic work rate has seen them become real contenders. Plus, a string great performances from energetic former Real Madrid frontman Javier Balboa has really helped their cause. Personally though, it has been Zambia who have caught the imagination. Almost 20 years after the worst disaster in their footballing history, the Zambian team – ranked 71st in the world by FIFA – have played with great guile and flair to win the group. Players like Rainford Kalaba and Christopher Katongo’s efforts will surely not go unnoticed and interest from European clubs will surely follow. Groupeth the Bth has been dominated by tournament favourites Ivory Coast and rightfully so. The Elephants have won every game so far and have done so without really shifting into top gear. The usual suspects like Drogba and Yaya Toure have been on fine form and have brushed aside the relative minnows with great ease. The most pleasant surprise as far as the group is concerned has been the success of Sudan. After the first set of fixtures it looked like Angola would be the nailed-on runners-up, thanks to some great goals by former Hull City and Manchester United man, Manucho. Yet, for a team whose entire squad consists of home based players, Sudan have proved a force to be reckoned with. After only losing 1-0 to Ivory Coast, they drew a thrilling game with Angola 2-2 and then saw off the fairly useless Burkina Faso 2-1 to finish up in second place. Angola could consider themselves unlucky, but you have to hand it to the Sudanese for not rolling over. Easily the most exciting group this year and home to my favourite team in the tournament, Gabon. The co-hosts have been exhilarating to watch and ran out as winners of the 2012 ACoN’s best game so far when they beat Morocco 3-2. Their headline act is former AC Milan striker, Pierre Aubameyang – now of Saint Etienne. His performances have resembled Diego Forlan at the 2010 World Cup – a brilliantly effervescent player, surrounded by lesser lights and whose individual efforts have inspired the rest of the team to shoot for the moon and land amongst the stars. Something like that anyway. Aubameyang has scored in all three of The Panthers’ group games and, for me at least, is the player of the tournament to date. 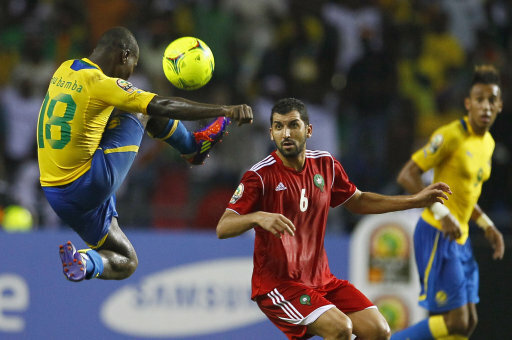 With Gabon winning the group, it was down to either Tunisia or Morocco to finish second. Tunisia arguably deserved it more but were unlucky in a few games, no thanks to some decidedly iffy goalkeeping from Aymen Mathlouthi, yet forward Youssef Msakni – the ‘Tunisian Messi’ – has scored some great individual goals. Unsurprising given his nickname. Many eyebrows have been raised at the poor showing from Morocco, who boast North African superstars such as Adel Taarabt and Marouanne Chamakh among their number. Despite the names, the entire side pretty much failed to turn up. Group C was/is propped up by ACoN debutants Niger, whose first ever goal in the competition by Ngounou Tonji was a touching moment, but otherwise were there just to make up the numbers. Group D has been, out of all four groups, the least interesting. Much like Ivory Coast, Ghana have cruised to victory in this group without busting a gut, with the likes of Asamoah Gyan (who still looks in decent form despite his coin-chasing soirée to the UAE), Andre Ayew and Sulley Muntari putting the Black Stars in a class above their opponents. The two most established teams with the most talented pools of players to select have dominated their competition with little effort – it may sound logical and straight forward, but this shouldn’t be taken for granted at the ACoN! 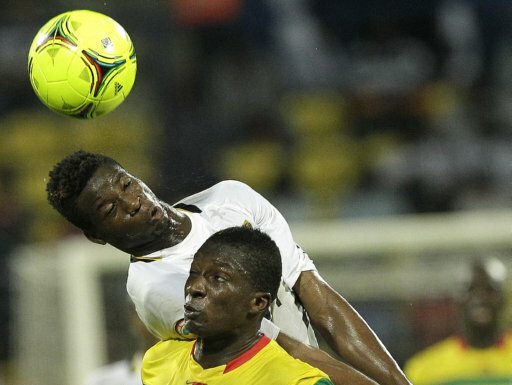 With both Ghana and Ivory Coast facing potentially difficult ties in the next round, it will be intriguing to see how far they can go – indeed, the two sides meeting in the final isn’t beyond reason. Mali have finished in second routinely, but have failed to capture the imagination – relying heavily on Barcelona’s Seydou Keita to pull the strings. Despite being relatively boring in comparison with the three that precede it, Group D has actually produced the biggest scoreline, with Guinea tonking Botswana 6-1, though both sides have sidled out of the competition at the first hurdle. If the rest of the tournament proves to be as enthralling as the groups were, we are in for a thrilling conclusion. 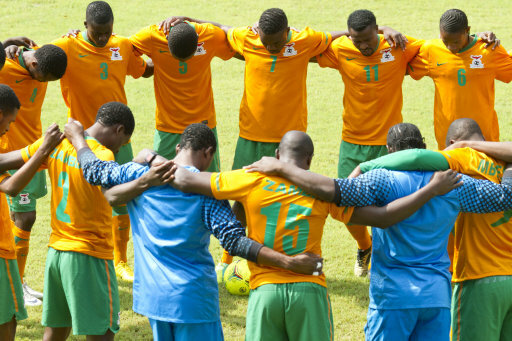 Personally, I’m hoping for a few upsets and have everything crossed for Gabon – Zambia final. Who’s with me? Whatever happens, you can bet your kidneys it won’t be dull. Greg writes for Zeene and film blog Little White Lies. He’s also a West Brom fan. I suppose someone’s got to be. Football’s Nostalgia Trips: Won’t Someone Please Think Of The Children? The Frogs Have Been Dethroned, But Let’s Hear It For Levante! Have we been watching the same Africa Cup of Nations?? @mojojojo: ironic that you’d criticize the spelling when the first word of your comment was spelled wrong. i believe the word you were looking for was “too”, not “to”. I’m with Gaz on this. Are there two African tournaments happening at the moment, or something, and I’m watching the wrong one? For me, the standard of football has been verging on diabolical but I was almost expecting as much – a lot of the traditionally omnipresent teams such as Nigeria, Cameroon & Egypt are missing and South Africa’s somewhat humorous absence (http://www.iol.co.za/capeargus/sa-football-stands-embarrassed-1.1153838) is missed. It’s football, Jim, but not as we know it. I for one appreciated the article. Sorry about the spelling mistakes guys. When your spelling all those Africans names the basics can go awry. Guess I best get back to those night classes. P.s. Brad, Africa is not a nation. That is all. Great article, great info, great way to catch up – thanks. Very informative article Greg. Wanted to find out what was going on in the ACoN but was too lazy lol. This covered it. Thanks and keep it up. Great article, Greg. Wasn’t really following AFCoN but after reading this article I might start! Why do the Americans that comment on these articles miss sarcasm so regularly. I agree with the general sentiment of the comments here. The football has been quite poor and I refuse to be romantic just because it’s the AFCON. I’m gutted the Premier League is missing some of it’s brightest stars. Wish BBC and ITV would do better coverage.